Our Slim Line cases are perfect for mailing or handing out promo items such as demo reels and album singles. Whether it be CD or DVD if you are looking for an affordable, professional package to promote your product with this package is for you. You can fit 400 of these in a single jewel case box in comparison to 100 DVD cases per DVD case box. This makes it much easier to inventory your products as well storing and distribution. Like the idea of a slim line jewel case but looking for something a little larger? Check out our standard full size jewel case packages by clicking here. The DVD Replication Slim Line Package includes DVD Replication, one or full color offset print, full color print on 2 to 8 panel or page front insert, and assembly with shrinkwrap. Slim Line cases are not only used for audio promotions, mix it up a little and get your DVD demo reel packaged in a slim line case. If you are looking for an affordable, professional package to promote your product, this package is for you. A package that is light weight and smaller than the average jewel case or DVD case makes it much easier to inventory your products as well storing and distribution. Like the idea of a slim line jewel case but looking for something a little larger? 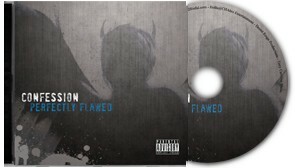 Check out our standard full size jewel case packages by clicking here. The DVD Replication Slim Line Package includes DVD Replication, one or full color offset on the disc, full color print on 2 to 8 panel or page front insert, and assembly with shrinkwrap.